The generation and processing of waste electrical and electronic equipment (WEEE) has given rise to numerous challenges around the world. Accordingly, preventive approaches basen on governmental and environmental regulatory pressure are highly relevant to treat WEEE in a proper manner. Within Latin America (LATAM) Brazil produces the highest total amount of WEEE with a still rising tendency, while recycling schemes are still in their infancy. Therefore, it is important to outline the main gaps and needs of related systems. Within the framework of this paper, recommendations for improving the management of WEEE in Brazil are derived based on the expertise of various local experts in this sector. 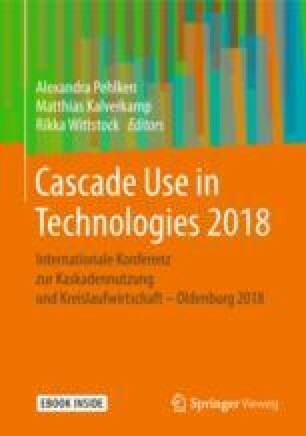 The results of the knowledge sharing methodology of a World Café show that political enforcement of implemented national laws and close cooperation of different stakeholder groups are key instruments to improve the general WEEE management in Brazil. This research was supported by the Erasmus+ funded project “Latin American-European network on waste electrical and electronic equipment research, development and analyses” (LaWEEEda). We thank our colleagues from Asociacion Nicaragua Ambiental (Ni), Asociacion Universidad Cristiana Autonoma De Nicaragua (Ni), Asociacion Universidad Tecnologicala Salle (Ni), Associacao Dos Catadores Do Aterrometropolitano Do Jardim Gramacho (Br), Cooperativa Popular Amigos Do Meio Ambiente Ltda (Br), Hanon Tercero Metales Y Compania Limitada (Hanter Metals. Ltd) (Ni), The University Of Northampton (Uk), Universidade Estadual Paulista - Unesp (Br) and Universidade Federal Do Rio De Janeiro (Br) who provided insights and expertise that greatly assisted the research, although they may not agree with all of the conclusions of this paper.